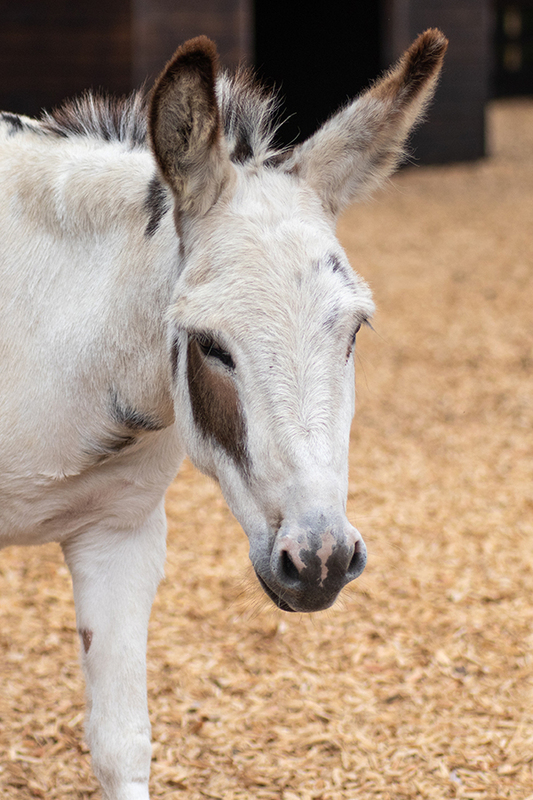 Cheeky Del Boy the donkey has big ears and an even bigger personality! 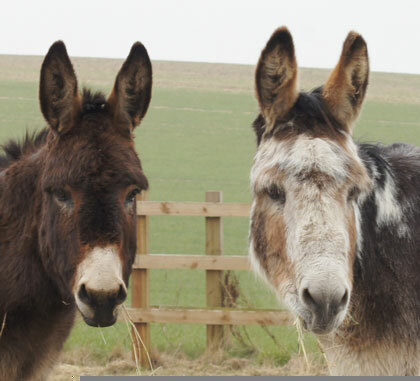 Del Boy and his donkey partner in crime Rodney arrived at Redwings with four other ponies from an animal education centre that sadly had to close down due to the recession. 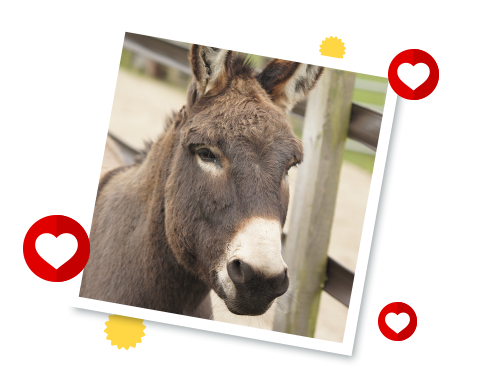 The dynamic donkey duo never fail to entertain with their endless games of chase around the paddock and you can be sure that their friendly and inquisitive nature will see them first to the paddock fence for cuddles! Del Boy lives at Redwings Ada Cole, near Harlow, in Essex. Tiny Tinkerbell was born at Redwings in 2008 after her mum Elsie was one of many ponies, horses and donkeys rescued by Redwings from Spindle Farm, Amersham. Handsome Gelderlander Zippy was rescued in 2008 from the horrors of Spindle Farm in Amersham. Gorgeous pony Elvis is one of a group of ponies rescued from South Wales who came to Redwings in 2011 and were all named after an Elvis theme.